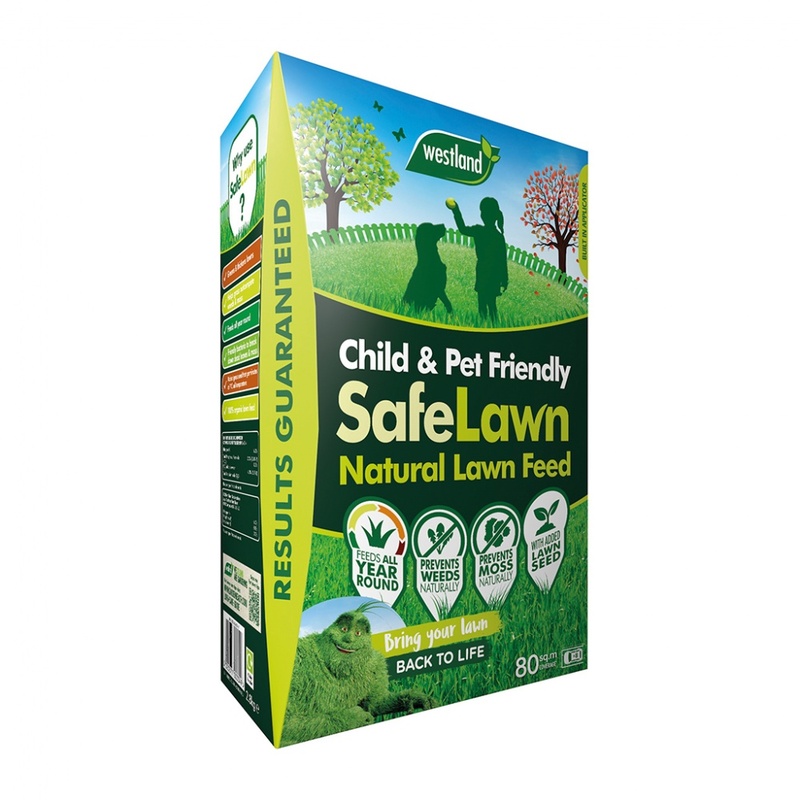 Westland SafeLawn 80sqm Carton 100% natural lawn feed is an organic and chemical free lawn fertiliser, creating a healthier and stronger lawn whilst preventing weed & moss. Safe to use around children and pets, made using only natural ingredients. Supplied with a built-in applicator. Lawn feed includes added grass seed to thicken and fill in patches and thinned lawn areas.